JA Bookshop is fully compatible with Joomla 2.5 and Joomla 3, the documentation is based on Joomla 3, for Joomla 2.5, it's almost the same with Joomla 3. 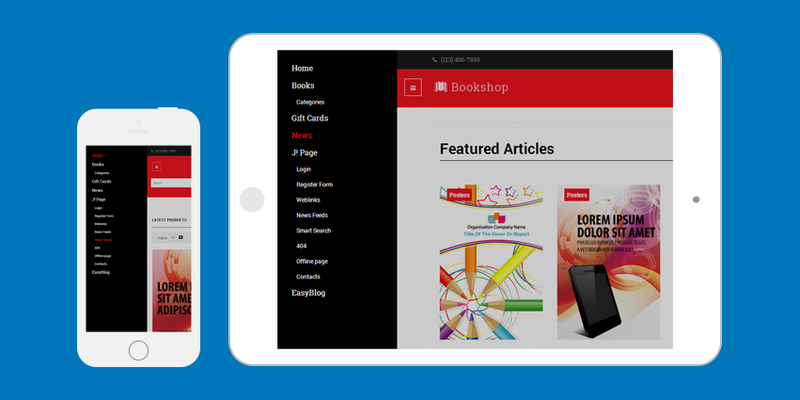 JA Bookshop can be used as ecommerce site or showcase, portfolio site. 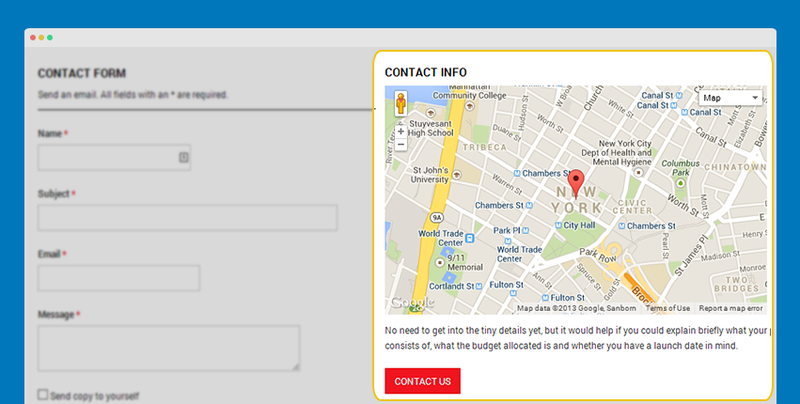 Showcase or Portfolio: based on Joomla com_content with styles included in template package. 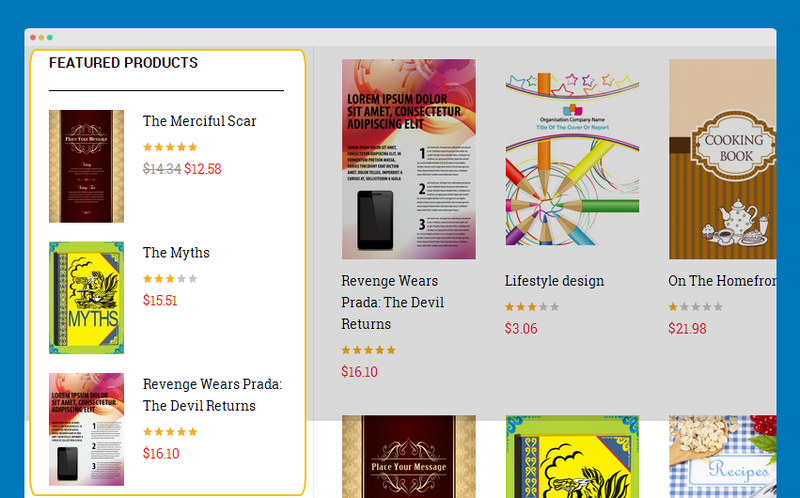 Browse and Download: Go to the Download page of JA Bookshop and download the Template zip file. 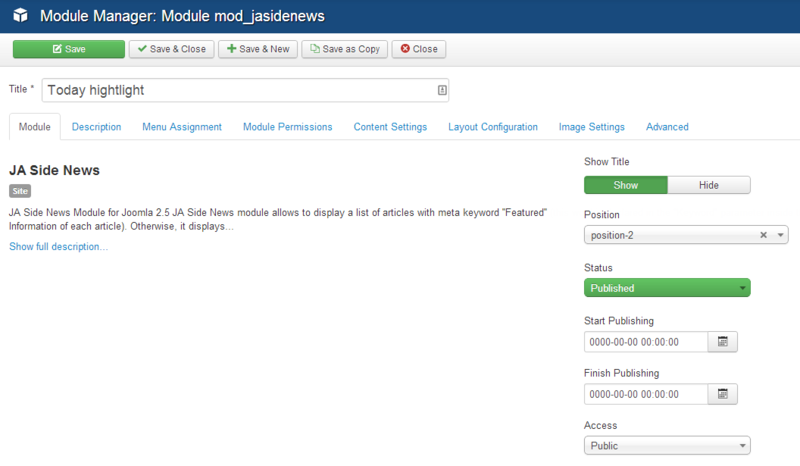 JA Bookshop template will install with Settings used on the demo website, so you can postpone the configuration until you complete the setup (install other modules / plugins used in the demo website). 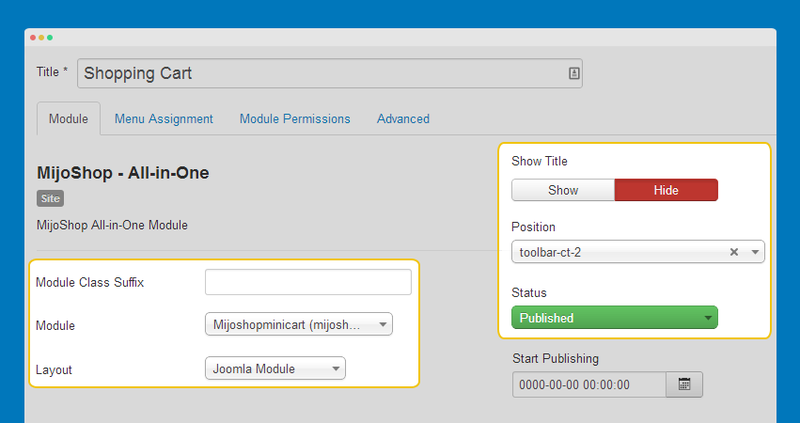 Step 3 - Extract the package one by one, open it and upload the folder components/com_mijoshop/opencart to your site root folder. 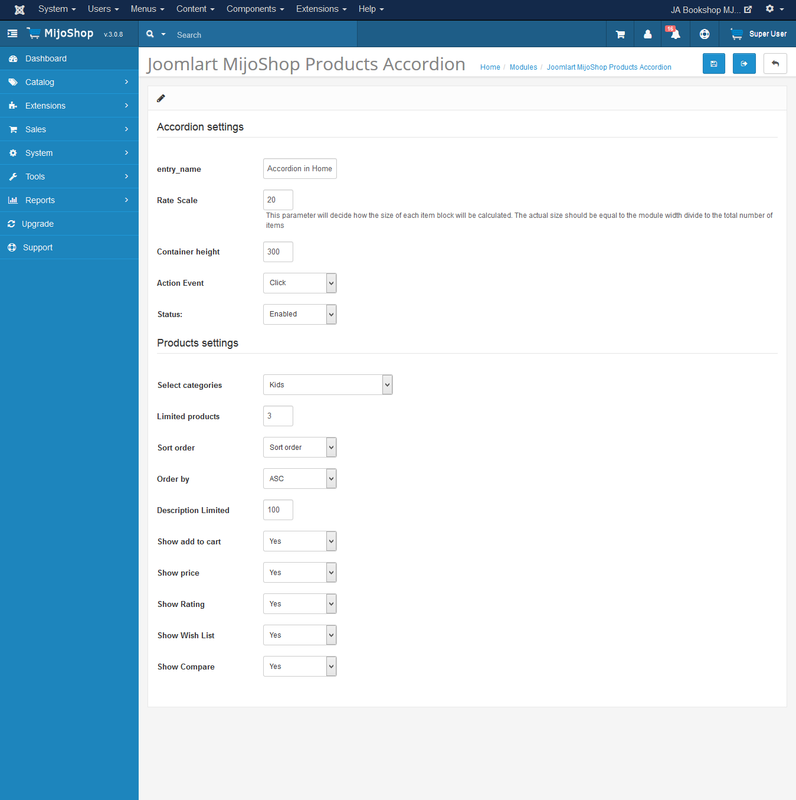 Step 4 - Once the upload is done, please go to Mijoshop working panel > Extensions > Modules then install modules: Joomlart MijoShop Products Accordion and Joomlart MijoShop Products Slider. 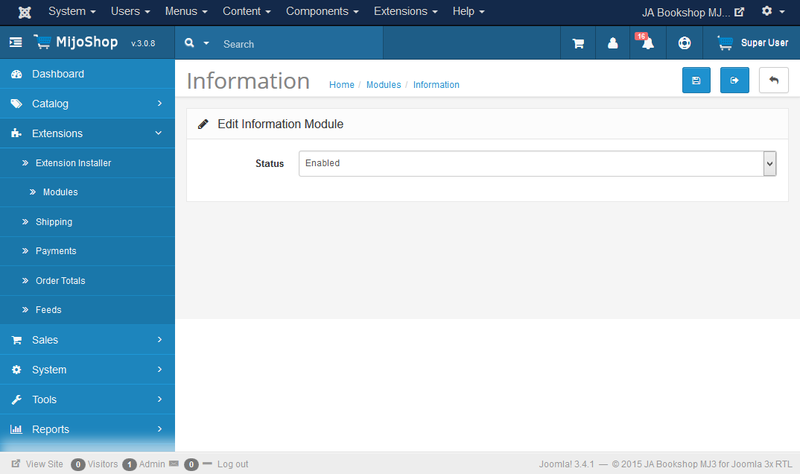 Next, we need to set default theme for Mijoshop 3. 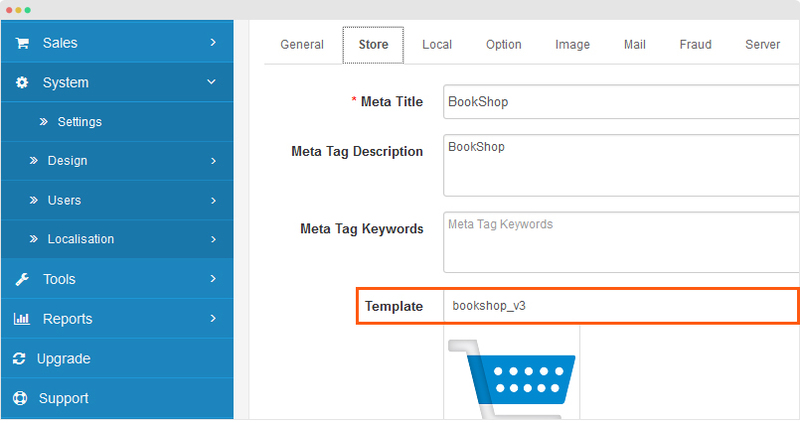 Go to "System > Settings > Edit default store > Store" and select "bookshop_v3" template. 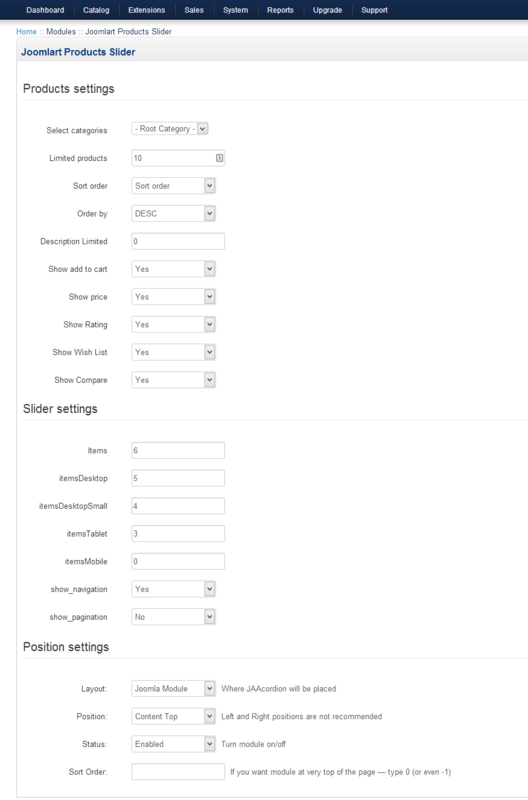 To have style like our demo, please make sure you have same settings as the image below. 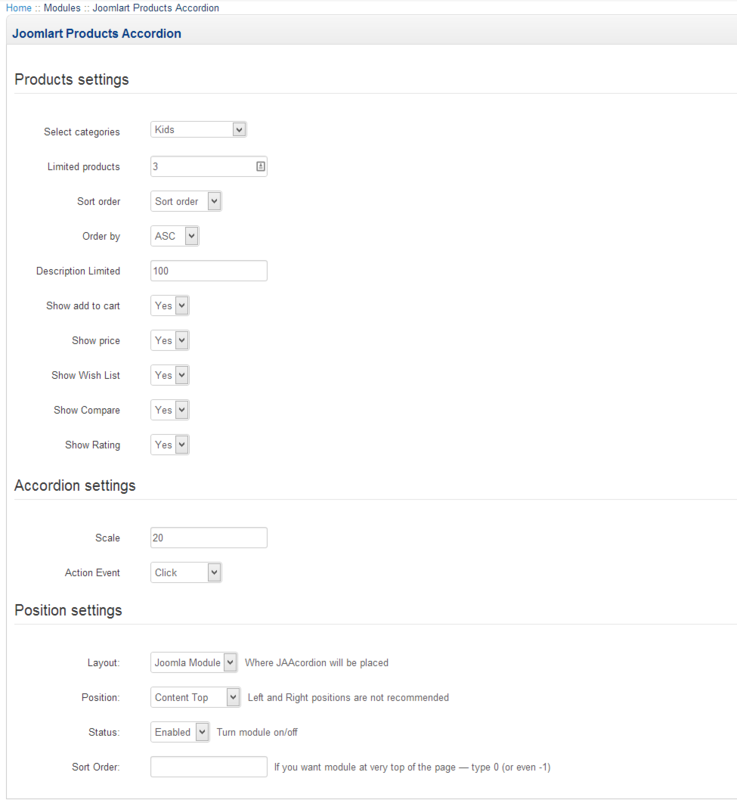 Other settings are default settings. 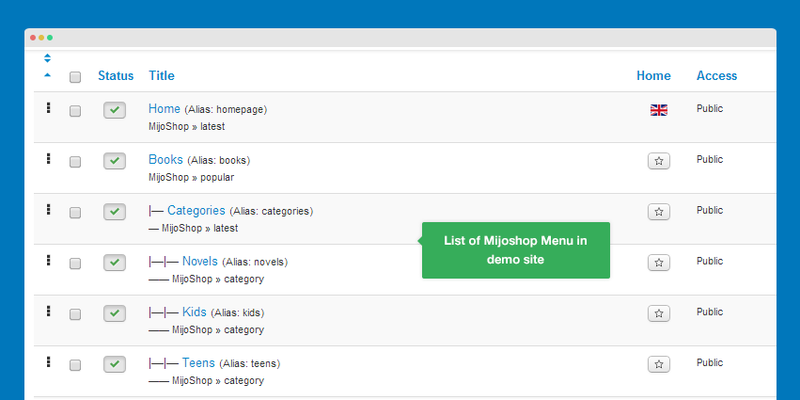 If you want to make Mijoshop in your site same as JA Bookshop demo site, this would be helpful. 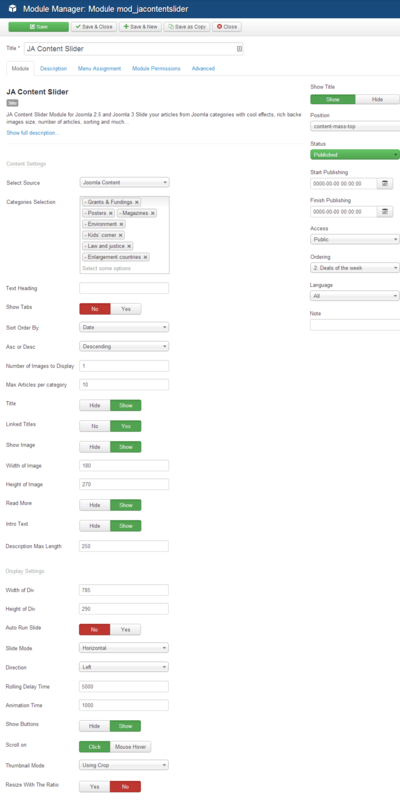 We only show the important, customized settings, default settings are not shown. 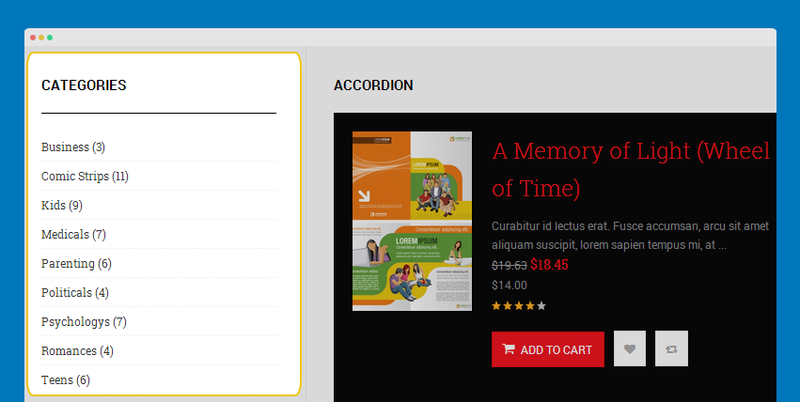 To have the Home menu as JA Bookshop demo, you need to assign modules to the Home menu item: Mijoshop Slideshow Module, Mijoshop Specials Module, JA Mijo Slider Module, Mijoshop Best Seller module, Mijoshop Categories, Mijoshop Feteatured module, JA Mijo Accordion module. 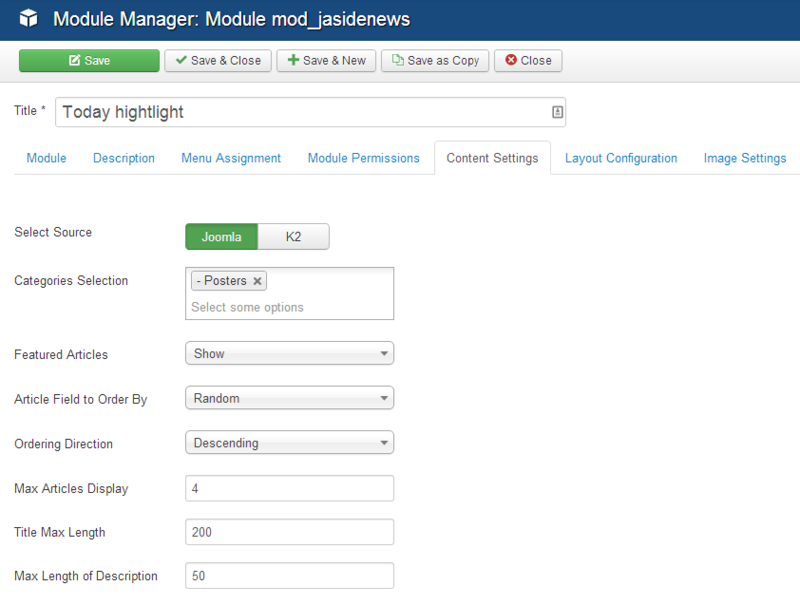 The settings of those module are shown in the MijoShop Configuration section. Other menu items under Categories menu has same setting with the Novel menu. When you install Mijoshop component, all extensions are installed as well. 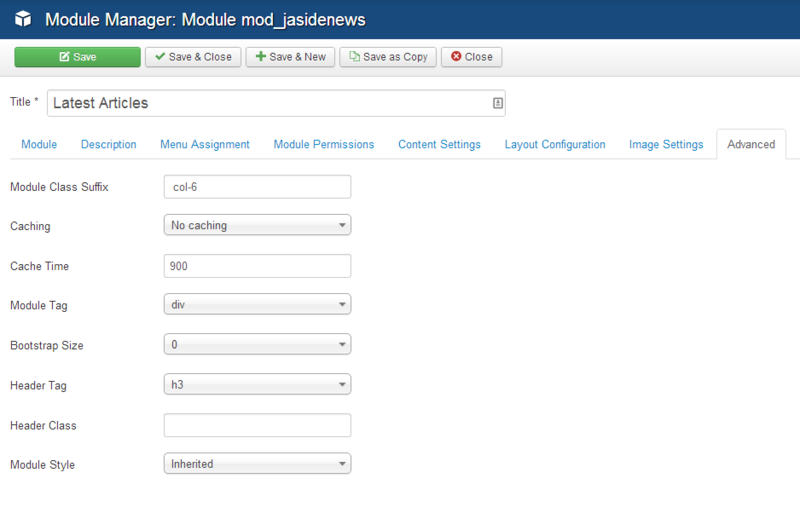 But the modules are not managed in Extensions >> Module Manager. 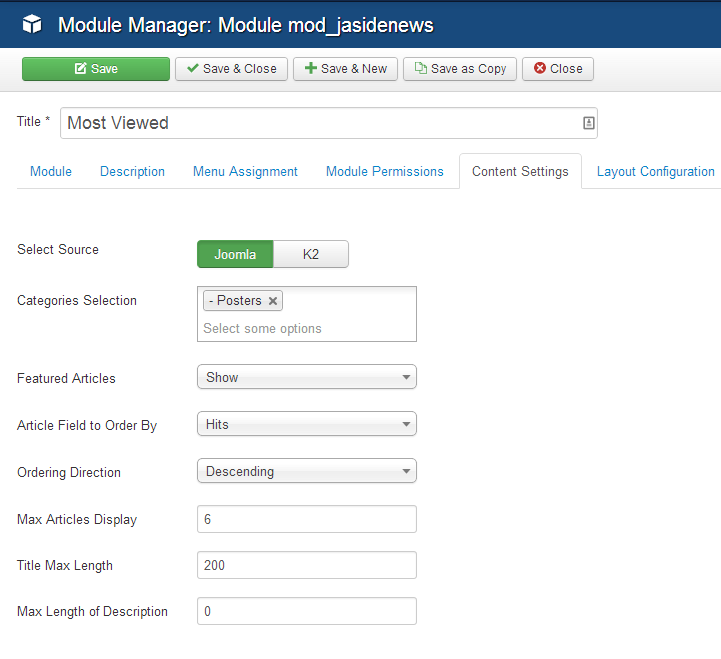 In Extensions > Modules, you will find only one module: Mijoshop - All-in-One. 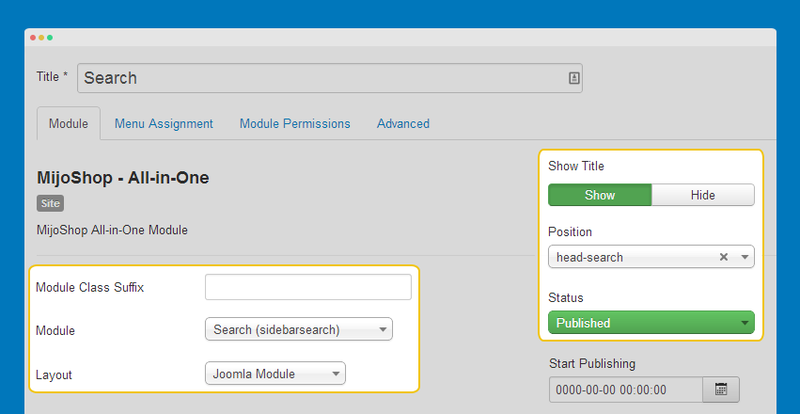 The module will load any module and assign to any position in your site. 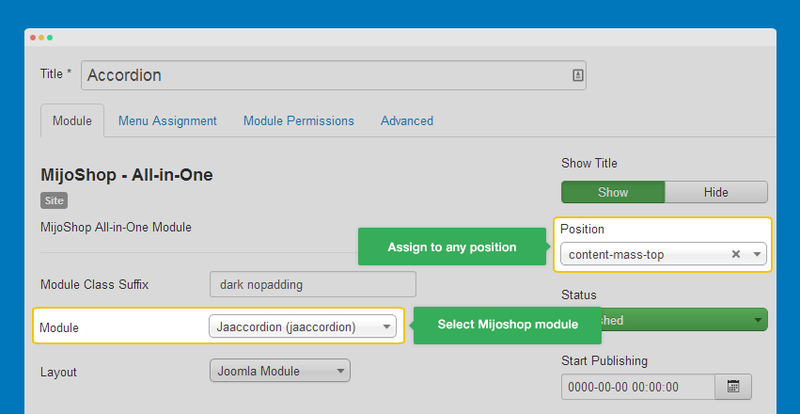 To display different modules in different positions, duplicate the Mijoshop - All-in-One module, assign Mijoshop module you want to the duplicated Mijoshop - All-in-one module. 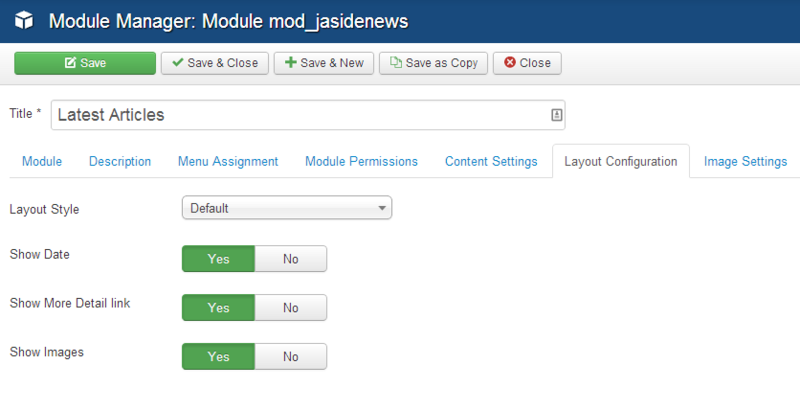 To manage Mijoshop modules, from Dasboard of Mijoshop, go to: Extensions > Modules, you can install, add new module or delete any module. 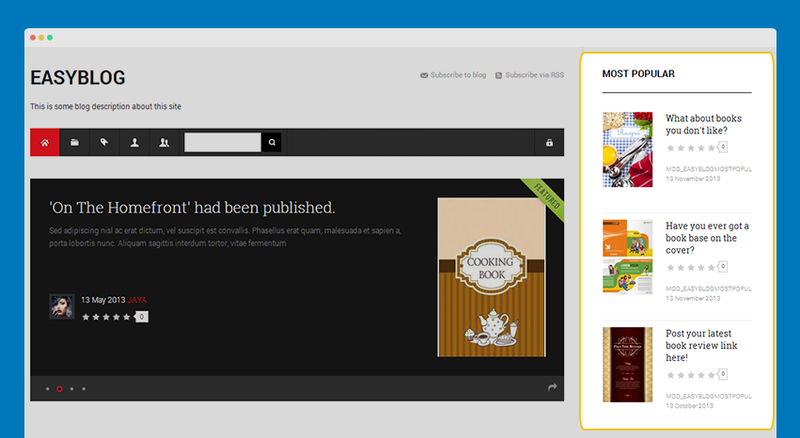 We specific developed this module for JA Bookshop, it's an addon for Mijoshop component. Mijoshop Component is a commercial extension then it's not included in the Quickstart package. The following instruction will help you to install and add style of Mijoshop to your site. 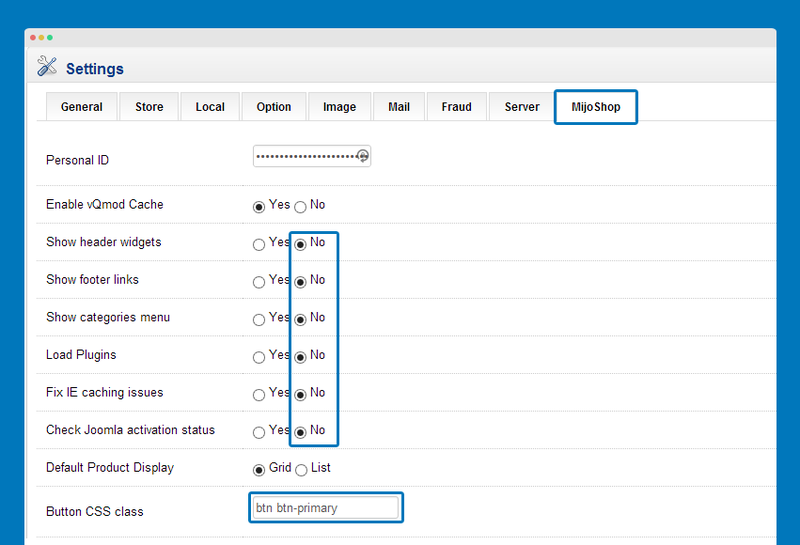 Go to: Components >> Mijoshop >> Settings. 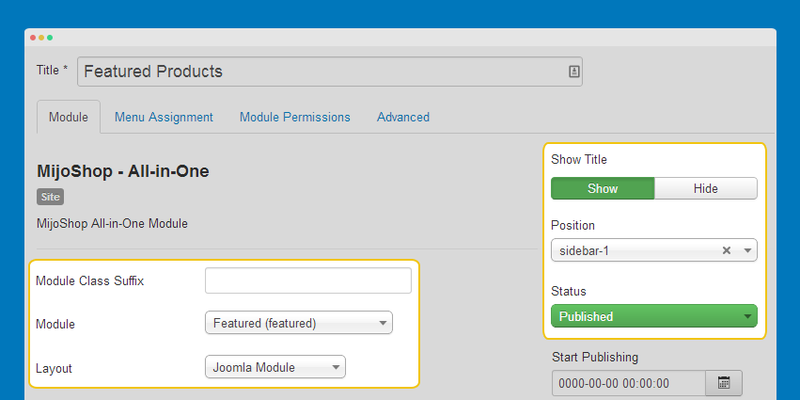 When you install Mijoshop component, all extensions are installed as well. But the modules are not managed in Extensions >> Module Manager. 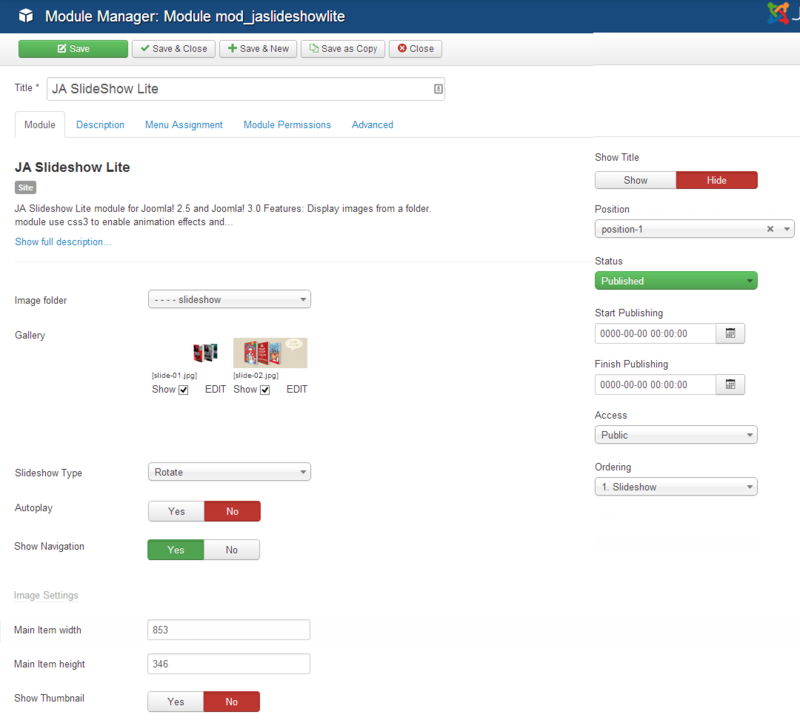 In Extensions >> Modules, you will find only one module: Mijoshop - All-in-One. 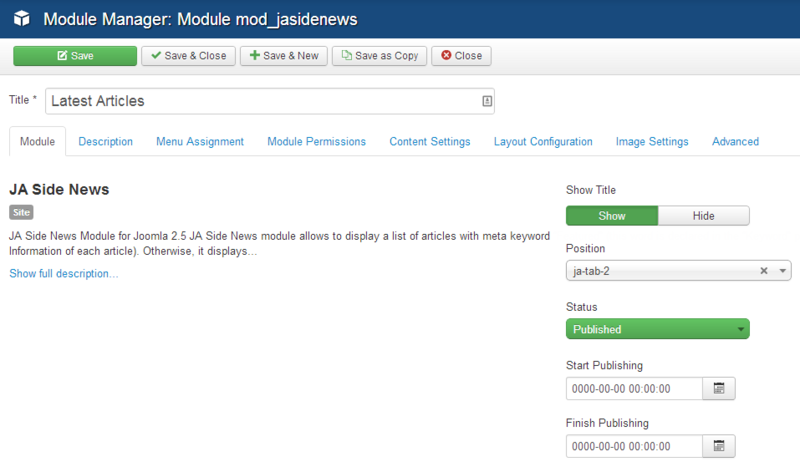 The module will load any module and assign to any position in your site. To display different modules in different positions, duplicate the Mijoshop - All-in-One module, assign Mijoshop module you want to the duplicated Mijoshop - All-in-one module. 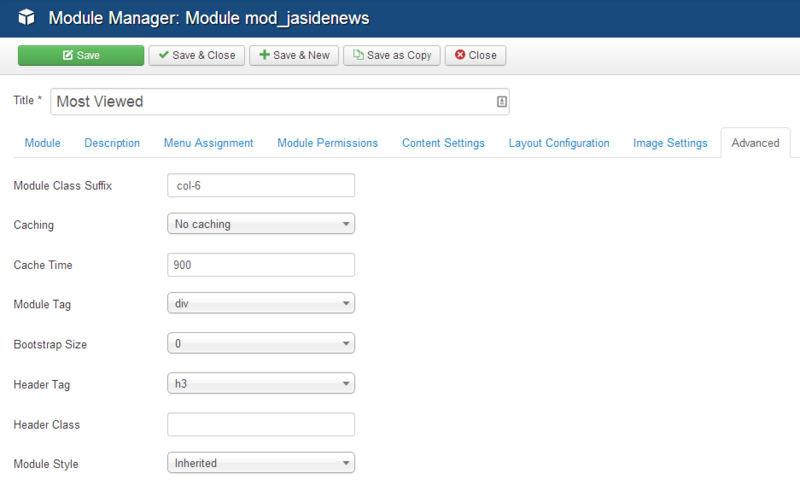 To manage Mijoshop modules, from Dasboard of Mijoshop, go to: Extensions >> Modules to configure modules. 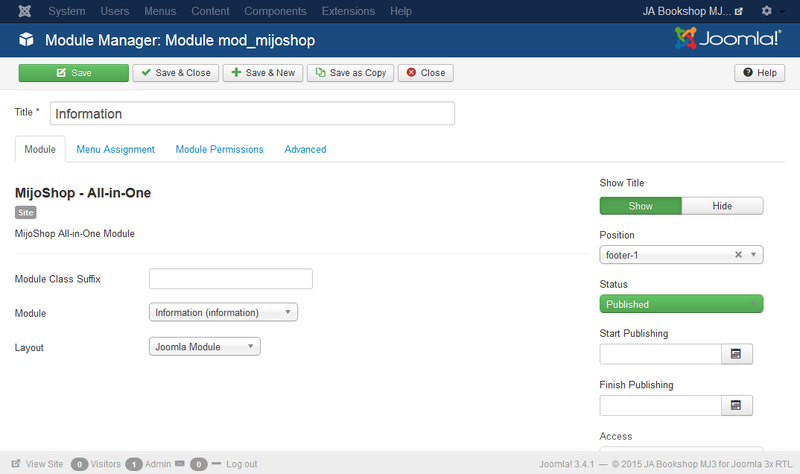 In the list of Mijoshop module, click on Edit button to configure the module. 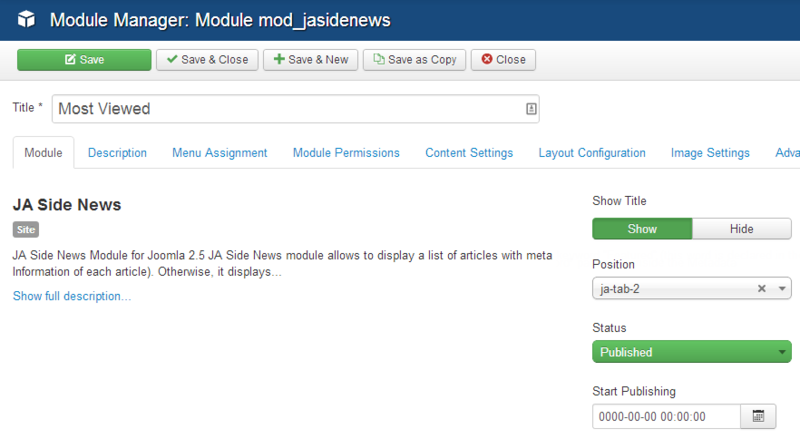 Create modules with content you want to display in tab then assign to a position (example: ja-tab, ja-tab-1). 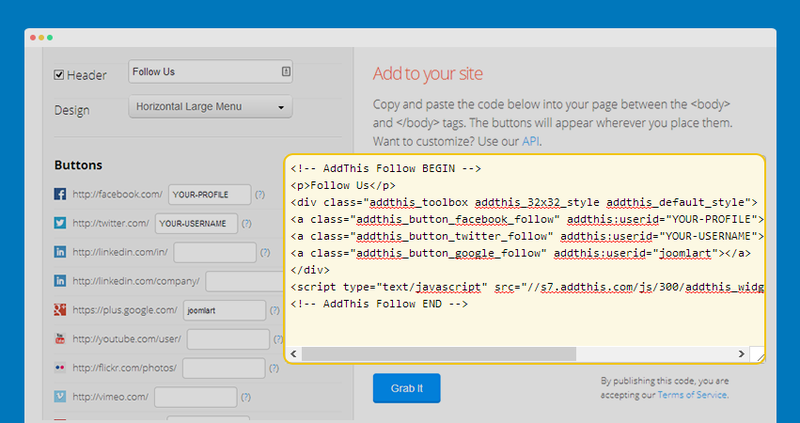 You can add "AddThis" buttons: Share, follow buttons to your site with customized styles. 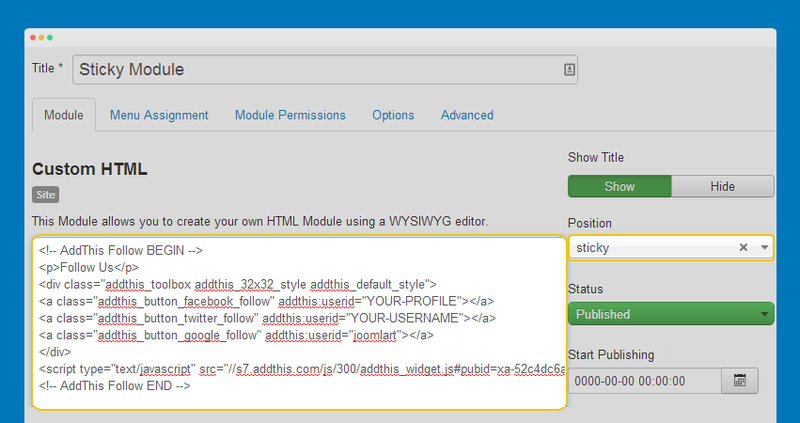 Follow the steps below to add the "AddThis" buttons. 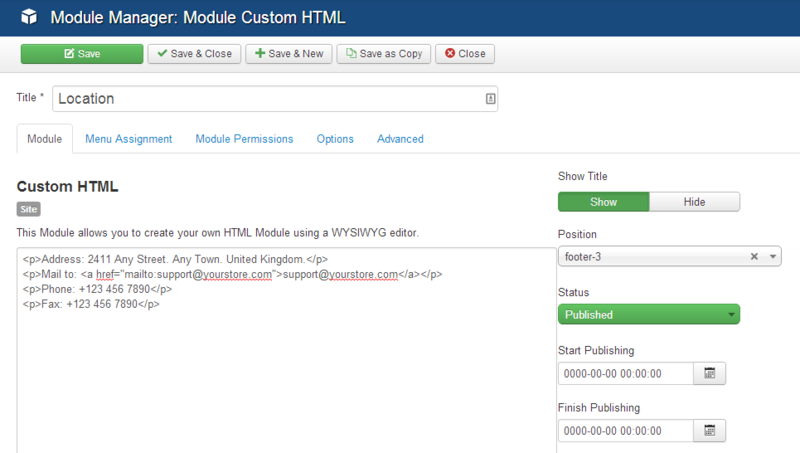 Create a custom HTML module then paste the AddThis code, assign the custom HTML module to sticky position. 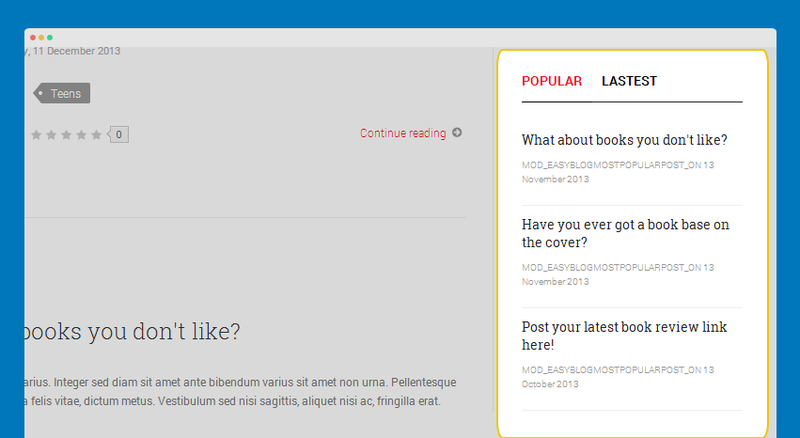 The styles are in module.less in templates/ja_bookshop/less. 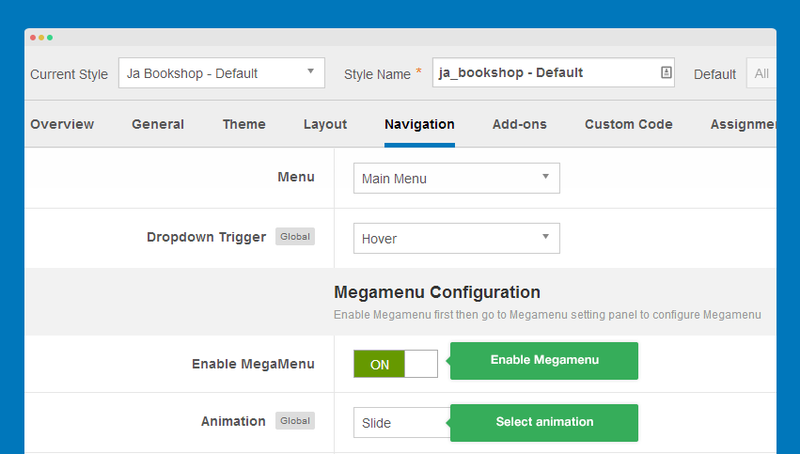 JA Bookshop supports Megamenu that is a core feature of T3 Framework. To enable Megamenu, from back-end of JA Bookshop template, open Navigation tab. 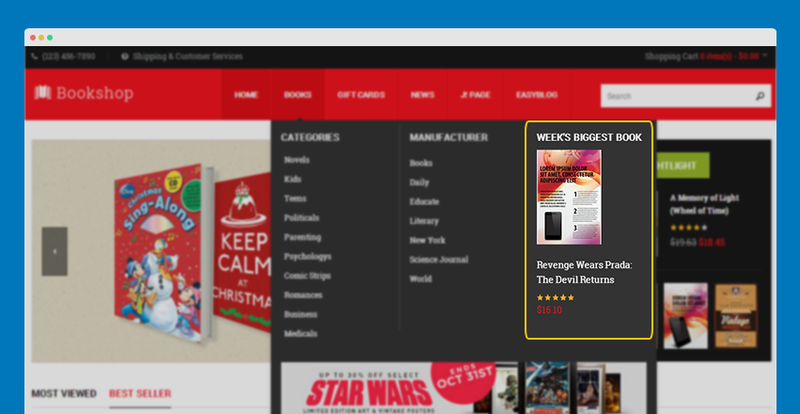 JA Bookshop uses Off-canvas that is based on Off-canvas sidebar feature of T3 Framework. 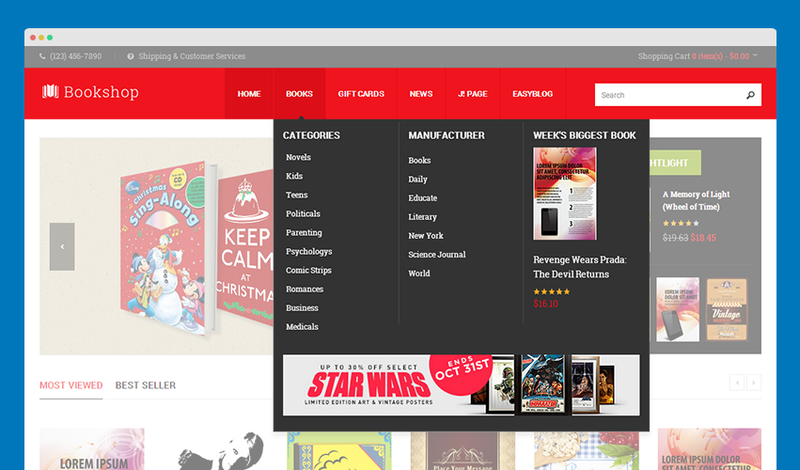 Open JA Bookshop setting panel, open Navigation tab then collapse navigation for small screens. 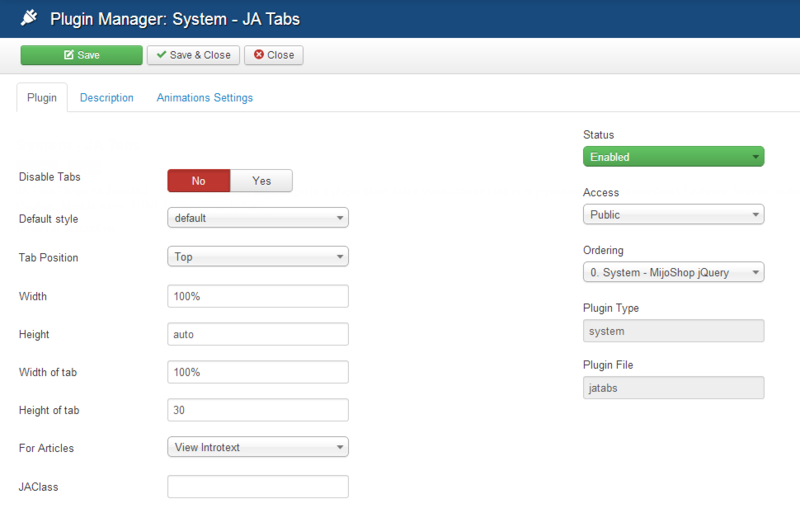 Open JA Bookshop setting panel, open Add-on tab then enable Off-canvas option. 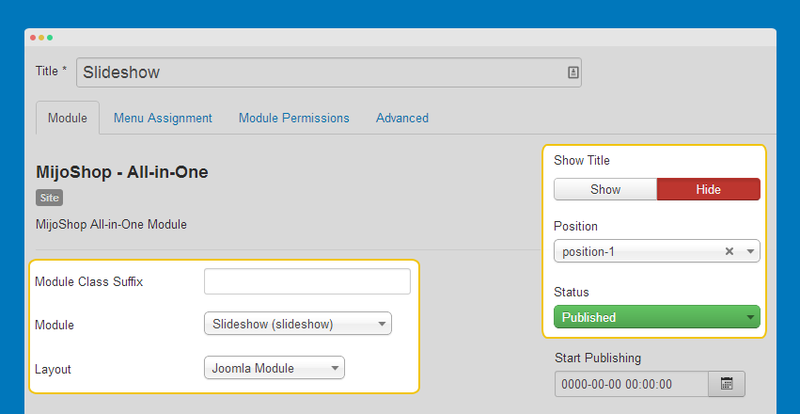 Now we will create a menu module, select menu you want to display in the module then assign to "off-canvas" position. 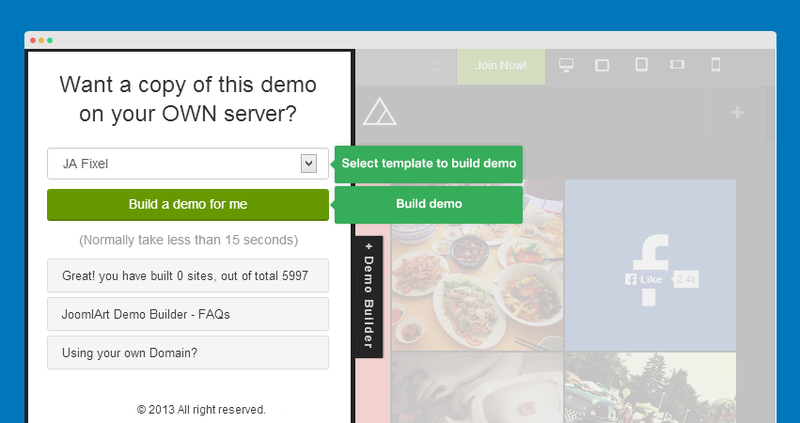 In demo site, we assigned main menu to the module. 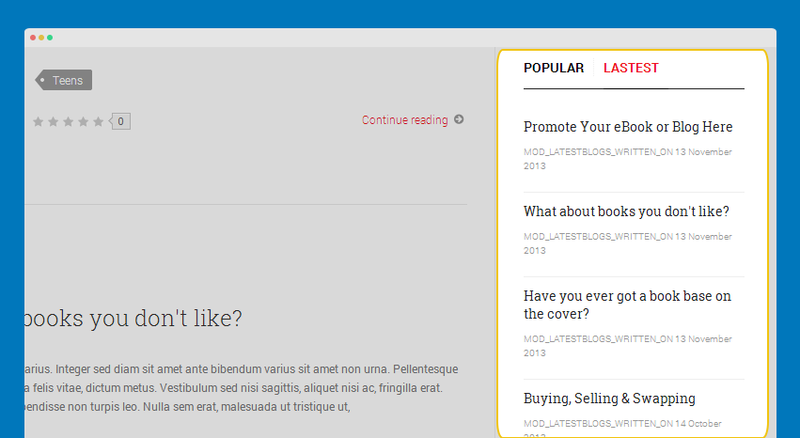 JA Bookshop supports Easyblog component by default. 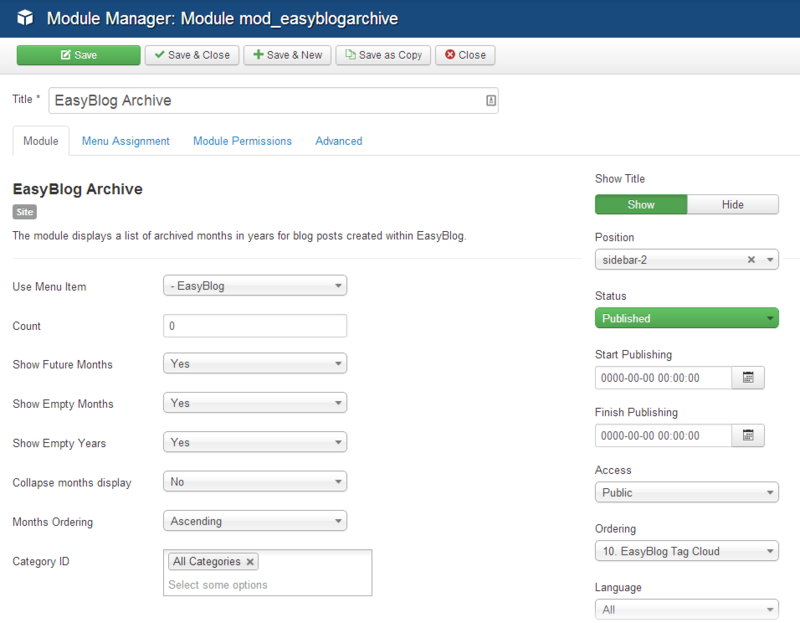 In order to have the EasyBlog design, you should download the EasyBlok theme for JA Appolio, extract the files and add them to your site. 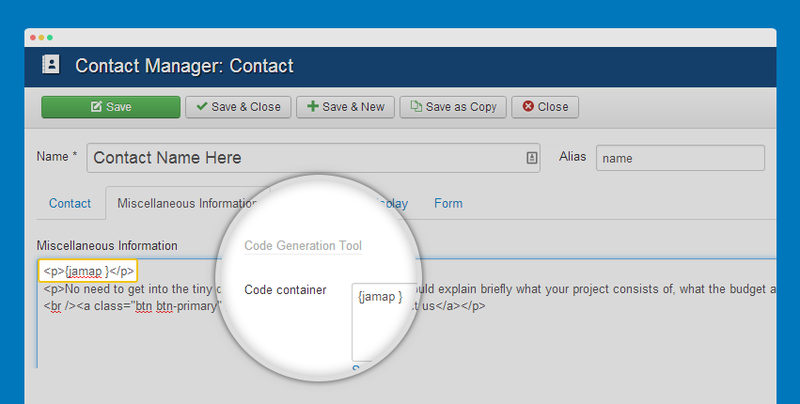 Step 3: Extract zip file and upload to your your_site_folder. 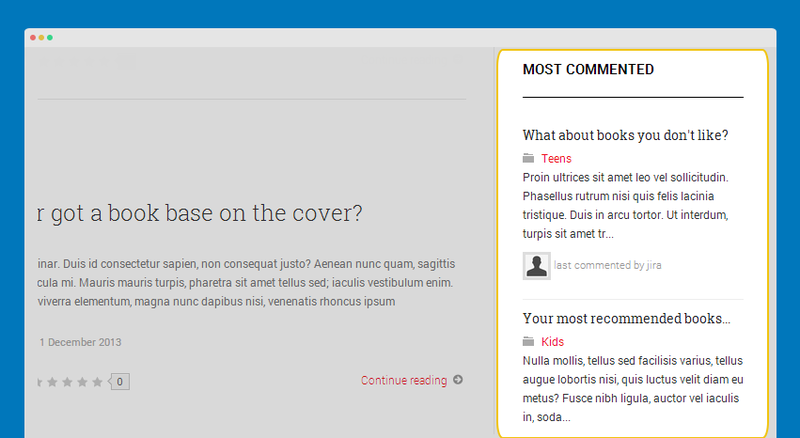 You should see folder ja_bookshop in /components/com_easyblog/themes. 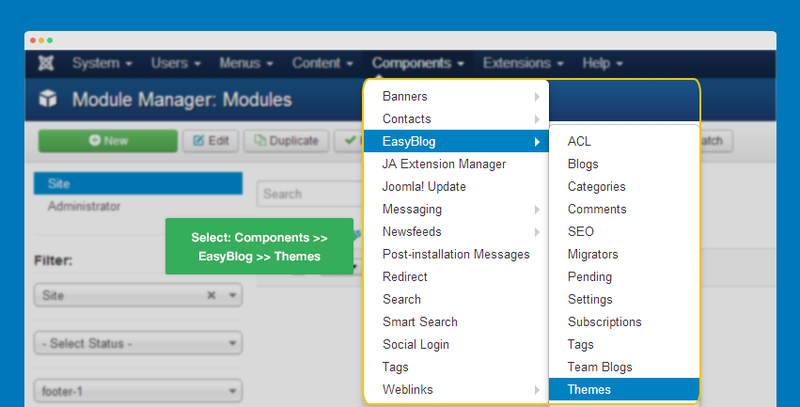 Step 4: Go to back-end panel >> Components >> Easyblog >> Themes >> select ja_bookshop. 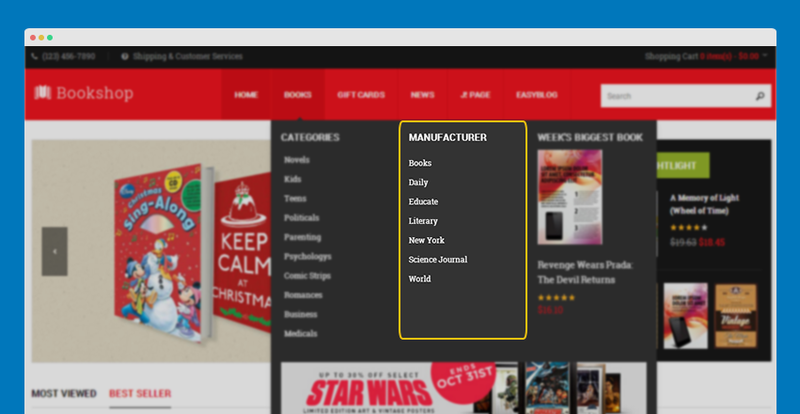 Most of settings are default settings, when you select ja-bookshop theme, you will get the almost same style as our demo. 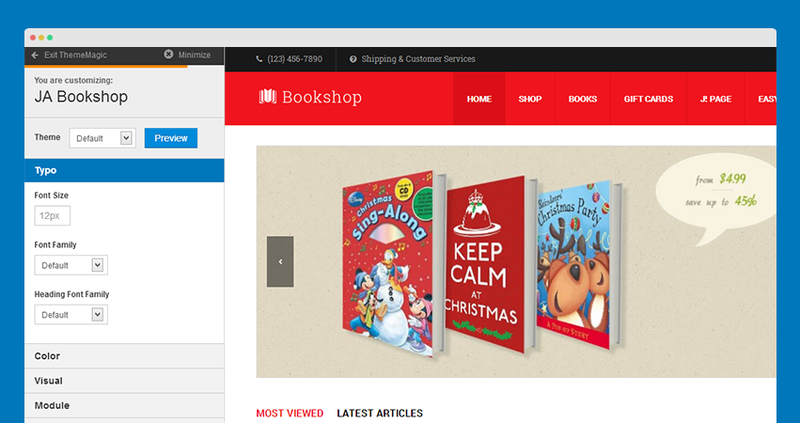 JA Bookshop supports 5 themes by default: default, blue, green, violet and yellow. 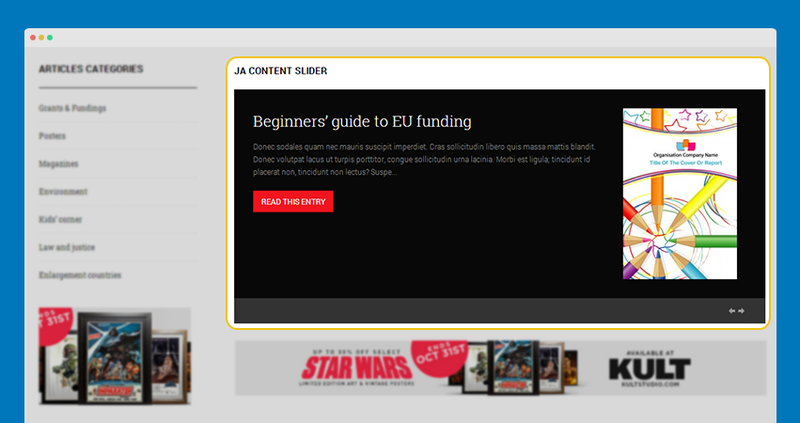 You can switch to any theme you want. 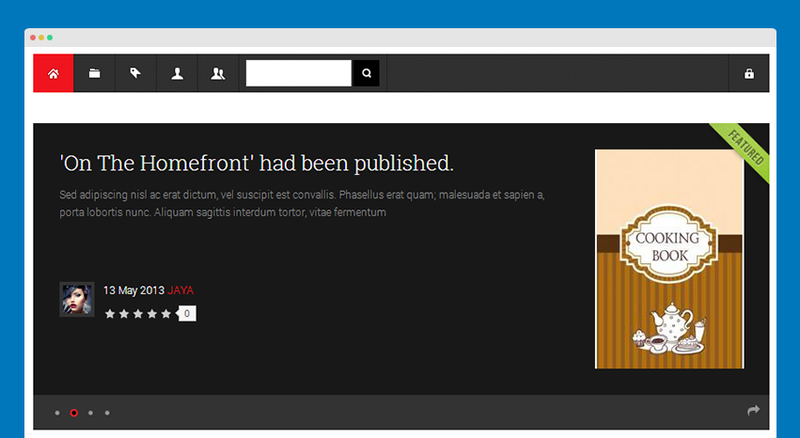 To change theme, open Theme tab. 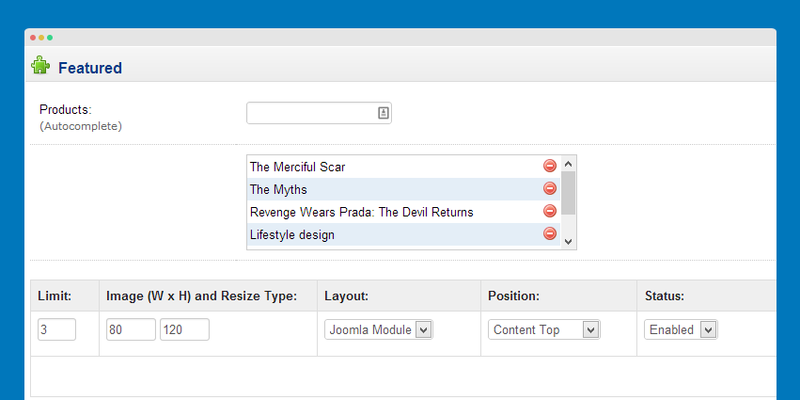 ThemeMagic is a real time theme customization tool supported by T3 Framework. 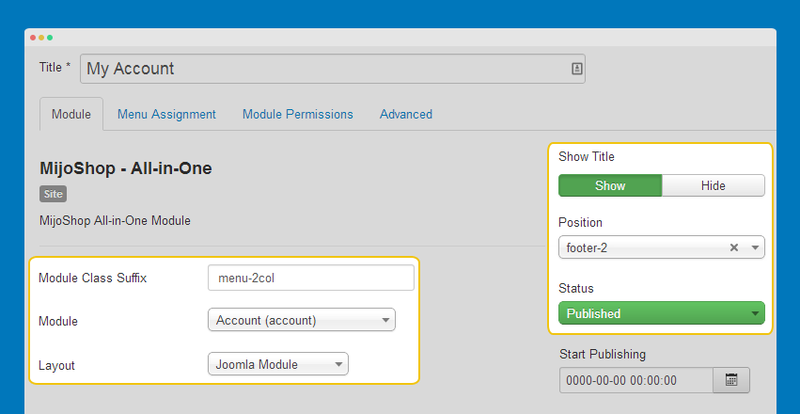 It allows you to customize any theme without touching code. In the General tab, enable ThemeMagic then access working panel of ThemeMagic by clicking on ThemeMagic. JA Bookshop used 1 layout (default layout) only. 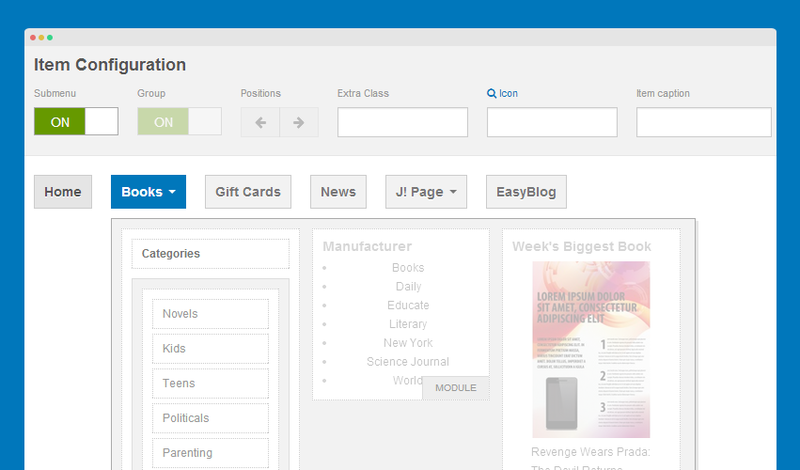 However you can add new layouts. 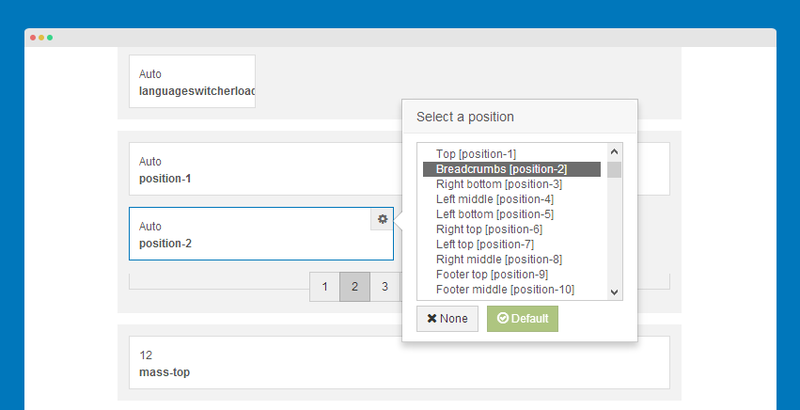 For spotlight block, you can se number of positions. 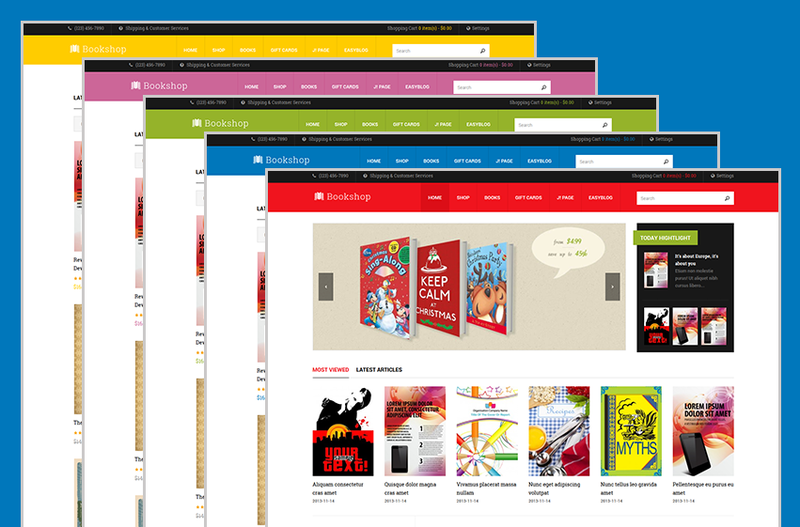 JA Bookshop is a responsive template based on multiple supported responsive layouts. 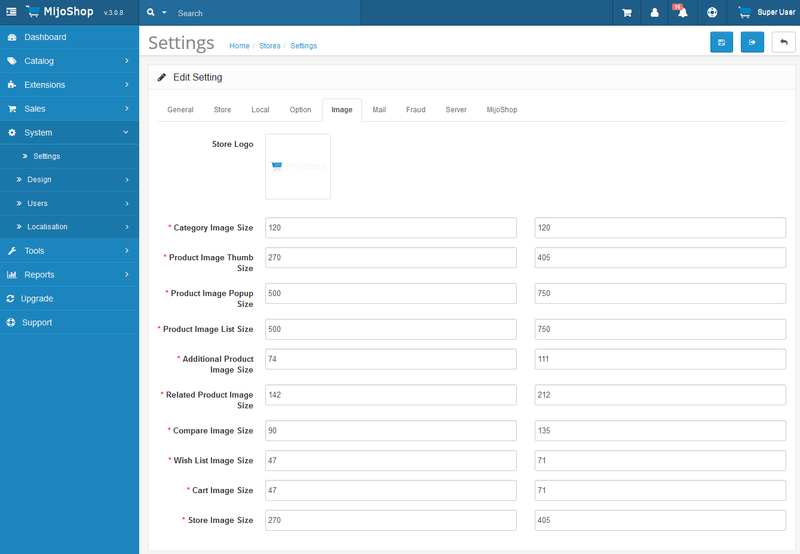 In the Responsive layout, select the layout you want to configure. 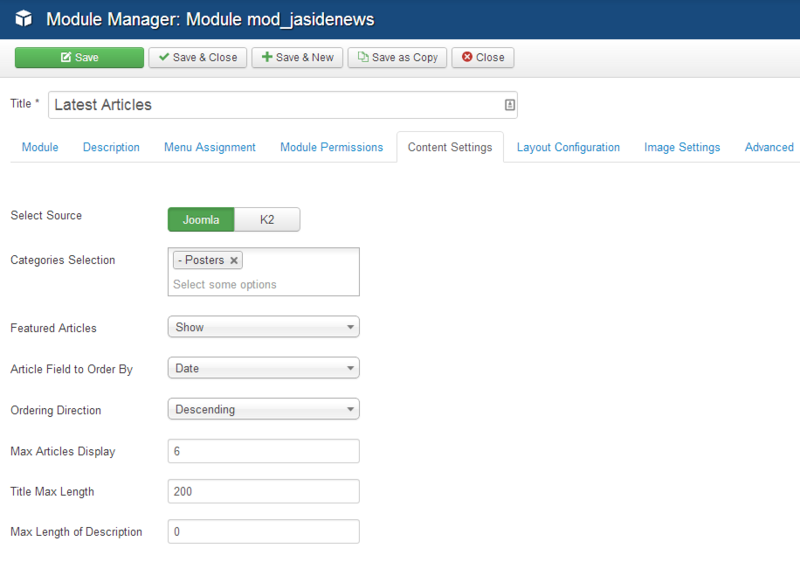 In each responsive layout, you can disable any module position. For module positions in spotlight block, you can drag to resize.